The Nikon European Film Festival is back! We're delighted to have Asif Kapadia, writer/director of AMY, as Chair of the Jury, along with fellow #NikonFF jury members Raindance founder Elliot Grove and Emmy-nominated photographer/filmmaker Pieter ten Hoopen. This year's theme for short films of up to 140 seconds is 'Everyday Moments' and the Grand Prix is a Nikon D810 plus a networking trip to Cannes. The four other prize categories are Best Narrative, Technical Excellence, Best Student Entry and People's Choice. Watch as Asif introduces the new competition and find out full entry details at www.nikonfilmfestival.com. Submissions open on 13 October, so start shooting now. 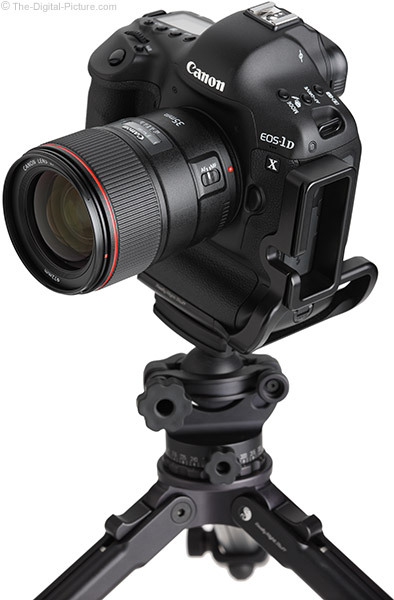 Image quality results from the EOS 5Ds R have been added to the Canon EF 24mm f/2.8 IS USM Lens Review. Small, light, stabilized and performing well (especially with CA corrected). 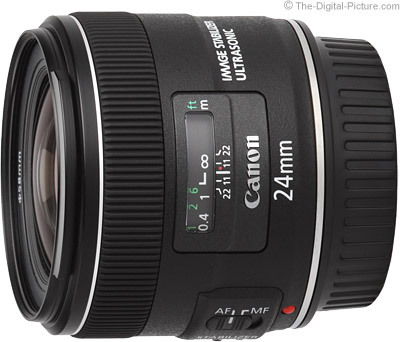 B&H has the Canon EF 24mm f/2.8 IS USM Lens in stock with a $50.00 instant rebate available. Profoto releases a new firmware upgrade for the B1 and the B2 Off-Camera Flashes, adding workflow improvements and enabling TTL metering with the new Canon EOS 5DS. September 30, 2015 – When launched in November 2013, the Profoto B1 was the world’s first off-camera flash to do TTL with both Canon and Nikon cameras. Earlier this year, the B1 was followed by the B2. 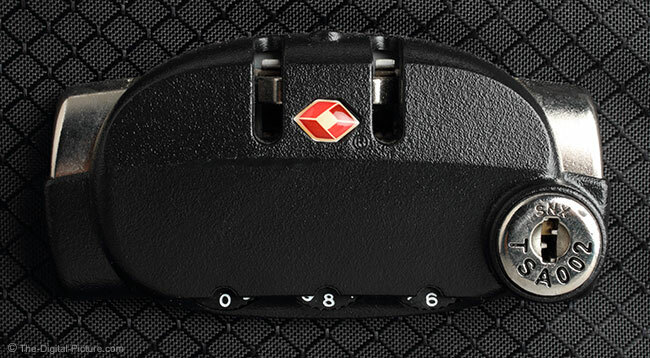 The B2 is smaller and more portable than the B1, but offers the same TTL functionality as the B1. The B1 and the B2, as well as the Air Remote TTL-C (for Canon) and the Air Remote TTL-N (for Nikon) that are needed to use the flashes in TTL Mode, operates on software that can be upgraded by the photographer themselves. On September 30, Profoto will release the latest version of the firmware. The new upgrade brings a series of improvements, most noticeable is the one that enables TTL metering with the new Canon EOS 5DS and Canon EOS 5DS R.
Below is a list of all the improvements. The upgrade and the full release notes will be available from that day for registered users at www.profoto.com/myprofoto as of September 30. Note that flashes as well as Air Remotes have to be upgraded for these new improvements to work. The problem with over-exposure that many experienced when using the new Canon models in TTL Mode is corrected with this new upgrade. Normally the B1 and the B2 shut down after 60 minutes of inactivity to save battery life. This automatic function can now be deactivated from the Air Remote, making it easy to set up the lights well before for a shoot and activate them later by a simple button press from the remote. In previous firmware versions the Air Remote display turned black after 30 seconds of inactivity. With this new upgrade the display dims down partially after 20 seconds but stays readable for another 100 seconds before turning black. In addition the upgrades include over 15 minor fixes, making the system more stable and contributing to an even greater user experience. B&H carries the Profoto B1 and B2 Off-Camera Flashes and Air Remote. Canon has released firmware update version 1.0.1 for the Canon EOS Rebel T5 / 1200D. Fixes a phenomenon in which the captured image may exhibit uneven exposure when the camera is used with a TS-E 17mm f/4L or TS-E 24mm f/3.5L II lens which is shifted or tilted during shooting. Download Firmware Version 1.0.1 for the Rebel T5. 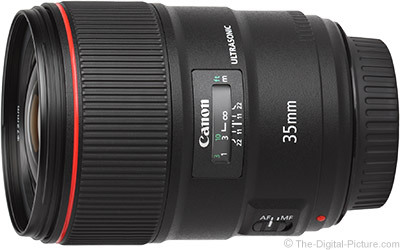 Image quality results from a second copy of the Canon EF 35mm f/1.4L II USM Lens are now available on the site. The new results are shown under lens sample "1". A comparison between the two lens copies is preloaded into the first link. Still to come are test results from the EOS 7D Mark II and Canon EOS-1Ds Mark III, allowing direct comparisons with lenses tested on those bodies. B&H has the Canon EF 35mm f/1.4L II USM Lens available for preorder (initial inventory sold out quickly). Can't wait? The Canon Store has the 35 L II in stock and several are available on eBay. Go behind the scenes of the Exploring NIKKOR Lenses: Mongolia series with filmmaker, Mike Rogers. Find out how he and his crew set up and establish the scenes using a range of Nikon cameras and NIKKOR lenses. B&H carries Nikon NIKKOR lenses. 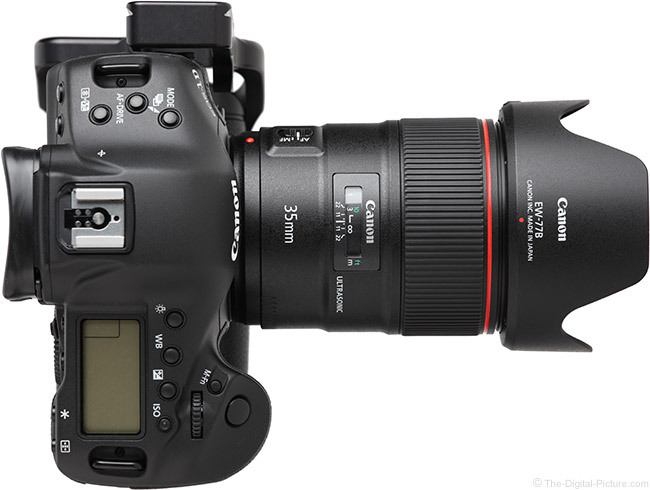 Image quality results from the EOS 5Ds R have been added to the Canon EF 70-200mm f/4L IS USM Lens Review. This small, light lens is a great performer and is definitely 5Ds-ready. Take out the easy-to-correct CA for really impressive performance. B&H has the Canon EF 70-200mm f/4L IS USM Lens in stock with a $50.00 instant rebate (note that B&H checkout is not available until Tues 9/29 2:00 PM EDT). Phottix has introduced a new wireless triggering system called Laso which consists of a radio-enabled wireless trigger and receiver, both of which communicate using Canon's 2.4GHz radio standard. That means you can use a mix of 600EX-RTs, 430EX III-RTs and older non-radio enabled EX flashes while controlling them all from the camera without the experiencing limitations of line-of-sight optical triggering. You can even use the Phottix Laso Trigger in place of the more expensive Canon ST-E3-RT Speedlite Transmitter in an all-RT kit with full functionality. B&H has the Phottix Laso Trigger and Laso Receiver available for preorder. With the moon as close to Earth as it gets, we'll be treated with a total lunar eclipse, or Blood Moon, this Sunday evening. Those in the mid-to-Eastern United States, South America, Western Africa and Western Europe will be able to see every stage of the total lunar eclipse (about 3 1/2 hours total), with other areas seeing the eclipse during various stages. A total lunar eclipse occurring during a supermoon is a rare event. The last time it happened was 1982; after Sunday, it'll be 2033 before it happens again. There will not be another opportunity to see (or photograph) a total lunar eclipse anywhere on Earth until 2018. So charge your batteries, put memory cards in your cameras and get ready to capture this especially rare event. Total eclipse begins 2:11 10:11 p.m. 9:11 p.m. 8:11 p.m. 7:11 p.m.
Mid-eclipse 2:47 10:47 p.m. 9:47 p.m. 8:47 p.m. 7:47 p.m.
Total eclipse ends 3:23 11:23 p.m. 10:23 p.m. 9:23 p.m. 8:23 p.m. Partial eclipse ends 4:27 12:27 a.m. 11:27 p.m. 10:27 p.m. 9:27 p.m.
You can find more details regarding the eclipse at skyandtelescope.com. For tips on photographing the event, check out Nikon USA's Learn and Explore Article, "How to Photograph a Lunar Eclipse." The 35 L II has grown physically over the 35 L I, but as illustrated in this comparison image, most will not likely find the new size to be a differentiator when comparing like-specification lenses. The new lens' weight is also higher, but again, not likely higher enough to influence decisions. Distortion and flare results along with standardized product images are now available on the Canon EF 35mm f/1.4L II USM Lens page. On a side note, the complete range of standard results and measurements (sans product images) are now available on the Tokina 11-20mm f/2.8 AT-X Pro DX Lens page. September 24, 2015 – If you’re like most people, there’s a lot going on in your life. In addition to work and other day-to-day activities, you’re busy with back-to-school events, weekend outings, sports, hobbies, holidays and gatherings with friends and family. And since you always have your smartphone or tablet with you, you’re probably taking more photos and videos than ever before. It’s great that you can easily capture these moments, but since you’re living the moments, too, you don’t want to have to worry about things like lighting, composition and trying to get the perfect shot or video. That’s why the Elements team is excited to announce the release of Photoshop Elements 14 & Premiere Elements 14. We built this version with the goal of helping you stay in the moment, enjoy your memories and make the most of your precious time. Elements 14 software uses content intelligence, automated features and a friendly interface to help you effortlessly turn your quick snapshots and video clips into amazing photos and movies. Find and organize with ease: We’ve revamped the Elements Organizer so you can more quickly find the photos and videos you need. The enhanced People view does an even better job recognizing the faces in your photos, and it stacks them by person during import so it’s easy to find photos of specific people later. The enhanced Places view makes it easier to assign locations to your photos and videos, and view them right on a map based on where you took them. And in the Events view, your media is clustered by date range making it easy to apply an Events tag to that cluster. Bye-bye, camera shake: We call Shake Reduction “your selfies’ best friend,” but it’s great for any photo shot with a handheld camera. Just click to remove the camera shake blurs that come from unsteady hands. Never a hazy day: Ever notice that, when you take a photo of an outdoor landscape, moisture in the air can cause the background to look hazy? Now you can use Haze Remover to make the background as crisp as what’s up front. De-haze in one click, or use sliders for more control. Speed Guided Edit for action shots: Whether your photo captures a ball in flight, a bike zipping by, or some other cool moment, now you can get step-by-step help amping up the action by adding cool motion blurs. Resize in seconds with a new Guided Edit: Want your photo to fit a certain picture frame or spot on a website? With step-by-step help, resizing has never been easier. Select hair in a snap: It used to be a real chore to select hair, pet fur and other fine details in photos. Now you can just paint loosely over the area you want to select, and Elements detects the edges and does the rest with the Fine Detail Selection option. Get custom looks to fit any photo: Want to give a photo some extra style, but not sure which effect will look best? Elements analyzes the subject, color and lighting and Smart Looks gives you five effects that fit perfectly. Quick edits made easier: Quick Edit mode is now even friendlier and easier to use, letting you rotate photos and make quick fixes faster than before. Tell dazzling stories with motion titles: When you’ve made a great movie, why not start it off right? Grab attention with new, professional-looking motion titles. Premiere Elements makes it easy to animate text and graphics using built-in presets. Color Pop Guided Edit for instant wow: Color Pop for photos was a big hit last year, so we added a Guided Edit for Premiere Elements this year. Create some visual drama by popping one or more colors in a scene and pushing everything else to black-and-white. You can fine-tune for hue, saturation and luminance, too. Elements walks you through it step by step. Play with time using Guided Edits: Get step-by-step help creating slow-motion effects that add emphasis, suspense or drama. Or, get guidance with adding fast-motion effects that speed up your story and create energy, excitement or fun. Sound your best: Audio sets your movie’s mood, and now it’s easier than ever to fine-tune your sound. We’ve brought all of the audio features together in one place so they’re easy to find, and a new toggle screen lets you focus on just audio or video parts of a clip as needed. Easily export optimized movies in multiple formats: Now when you’re ready to export your movie, Premiere Elements recommends settings for you. That way you get a movie that looks great on whatever device or screen you choose, from iPads, iPods and other smartphones to big-screen 4K and HD TVs. 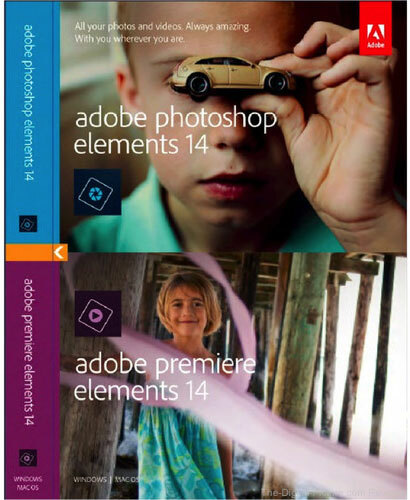 B&H has Adobe Photoshop Elements 14 and Premiere Elements 14 available for preorder. 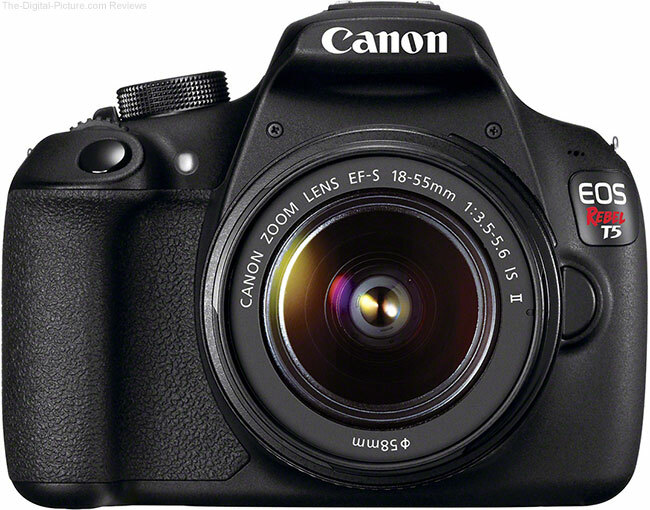 Image quality results from the EOS 5Ds R have been added to the Canon EF 35mm f/1.4L II USM Lens page. We currently have two copies of the 35mm f/1.4 L II lens going through the lab. Results from both will be posted with at least one of the lenses being tested on the EOS 7D Mark II and Canon EOS-1Ds Mark III, allowing direct comparisons with lenses tested on those bodies. This is a very sharp lens. The contrast at f/1.4 looks great. As I noted yesterday, B&H has the Canon EF 35mm f/1.4L II USM Lens available for preorder (initial inventory sold out quickly). A story by the Washington Post entitled "The secret life of baggage: Where does your luggage go at the airport?" briefly showed a picture of a TSA agent holding his set of master luggage keys. A France based individual going by the name Xylitol created CAD drawings of the master keys and made them freely available for download. And in the age of 3D printing, that's all it took to bring the TSA lock system to its knees. Soon after the CAD drawings were made available, Bernard Bolduc of Montreal downloaded the files and 10 minutes later had created a 3D printed master key that opened his TSA lock. The result is staggering – millions of TSA locks are now [practically] useless as anyone with a 3D printer can churn out TSA master keys at will. MTF average and variance charts are now available on the Canon EF 35mm f/1.4L II USM Lens page. You are going to like what you see! The new lens is looking impressive. Here is the Canon EF 35mm f/1.4L II vs. I lens comparison. There are many more interesting comparisons to be made – use the tool to find them. Special thanks to Roger at Olaf Optical Testing for the quick delivery of these charts! LensRentals.com has the 35mm L II ready to ship today. Simply hit the "Rent" button on the MTF tool page to give this lens a try. Image quality results from the EOS 5Ds R have been added to the Zeiss 15mm f/2.8 Distagon T* ZE Lens Review. Great lens. 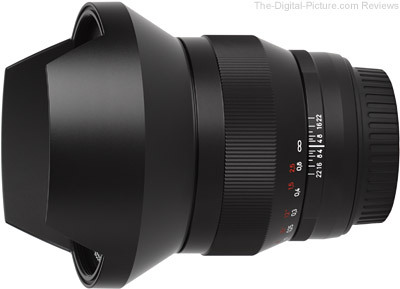 B&H has the Zeiss 15mm f/2.8 Distagon T* ZE Lens in stock with a $300.00 instant rebate available.